Connor Yungbluth, of Wake County, studies Mandarin Chinese through the North Carolina Virtual Public School. 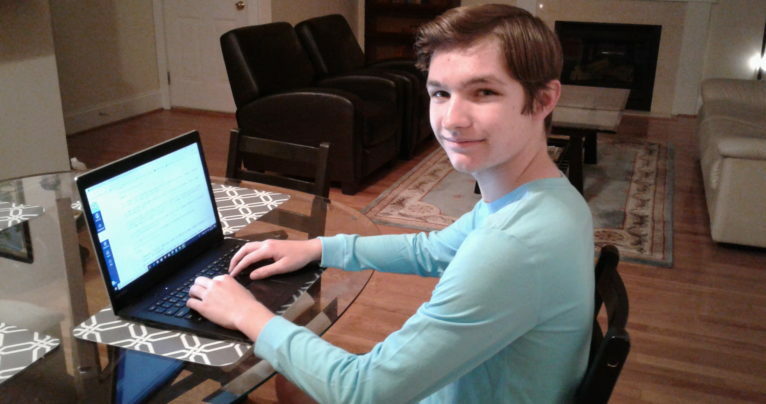 After a regular school morning at Middle Creek High School in Cary, senior Connor Yungbluth, 16, takes his online Mandarin Chinese course at home through the North Carolina Virtual Public School (NCVPS). When Yungbluth moved from New York, he wanted to continue the language studies he had begun there, but the local school in Wake County didn’t have a Chinese teacher. His curriculum is part of the blended, individualized instruction that virtual school in North Carolina can provide. In the afternoon, Connor takes two online courses through Wake Technical College to prepare for his future in engineering or medicine. Other students who have benefited from NCVPS include special needs populations, students who would like to attend the N.C. School of Math and Science but are not offered advanced courses at their school, students in rural areas, and a gymnast. While the NCVPS may be unfamiliar to many North Carolina residents and not every school system cooperates with its program, the state has the second-largest virtual public school system in the country, with enrollment climbing from 17,000 at inception in 2007 to 58,000 students across the state today. Only Florida has higher enrollment in its comparable program. North Carolina teachers developed the 150-course curriculum, which is aligned to state high school graduation requirements. According to the NCVPS 2017 Annual Report, the high school end-of-year courses meet or exceed state averages on standardized testing. Colbert explained that NCVPS is in each school district across the state to varying degrees. In every school district, there is an eLearning adviser who knows how to enroll students at any school in the state a student might attend. The decision to provide NCVPS resides locally with each school district. Some districts find NCVPS meets their needs and are eager to participate. Other districts are much more selective and place limits that prevent families from choosing the online program as an alternative to the existing public schools. “The superintendent of Warren County can enroll any student (who) wants to take any course, because they’re struggling to get teachers,” Colbert said. “In other places, like Wake County, strict rules apply on who can enroll.” Wake school officials will allow a student to enroll in a course online through NCVPS only if the local school doesn’t offer that course. Despite rapid growth in the program, the N.C. General Assembly has not backed expansion. “We’ve not increased VPS from the legislature,” said Rep. Craig Horn, R-Union. “Of late, we have made a couple of runs at having NCVPS sell their products to other states and other privately funded institutions. 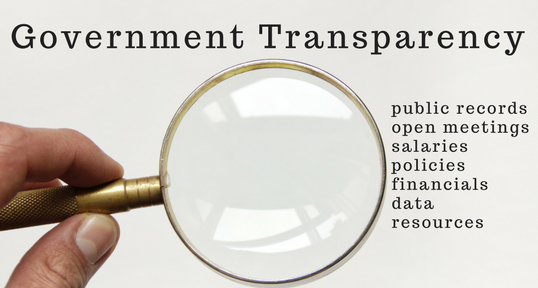 However, in N.C., we have a law, the Umstead Act, that prohibits the government from competing with private industry. It’s a good law, but in this case, I’m trying to get an exception to the law. According to another legislator, Rep. Graig Meyer, a Democrat who represents Durham and Orange counties, support for NCVPS does not hinge on political affiliation or geography. One misconception may be that the Virtual Public School becomes the school of record, or that students are in an online environment for most of their school experience. Each student must register with a brick and mortar school. NCVPS partners with public, private, home schools and charter schools. For private and charter schools, the General Assembly has set up a system by which they pay some of their teacher money to the virtual school for private and home schooling. The fee is about $400 to take a course if the home school is the school of record. The family is responsible for that fee. If the public school is the school of record, they are responsible for that amount. Is it simply depending on where students live, based on their local school and how they feel about it. Heather Yungbluth, a teacher with NCVPS who is also Connor Yungbluth’s mother, started with the program about nine years ago. NCVPS now has more than 800 teachers. “One of the things that stands out is our communication,” she said. “You would think being online would be a disadvantage but that’s the opposite case. I get multiple texts, tutoring sessions and office sessions. She described a variety of ways to communicate online. Blending most online curriculum into the school day also takes care of most of the socialization issues that some homeschoolers may encounter. NCVPS started in 2007. The first two years were fully funded through the General Assembly. The driver behind it was the need to provide courses for students who live in rural areas of the state. The program was created to provide equitable access for North Carolina students regardless of location. NCVPS provides its services to families as a free resource. “We have a funding formula, so either the school can hire a teacher who will teach 100 high schoolers, or they can have 100 high schoolers enroll for a variety of classes in VPS. They can enroll for several classes or entire curriculum online,” Colbert said. For the future, those involved with the school expect better awareness and continued enrollment growth. For those students with no rural access to internet, schools can stay open late, partner with locations offering free Wi-Fi, which is a growing trend. Some local leaders have also developed school buses with Wi-Fi. Colbert said that overcoming the awareness barrier in the future through increased funding for outreach. For now, parents who don’t have a counselor to connect their student to NCVPS are unlikely to even know that it’s available.